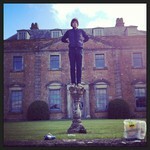 Hadspen House, Somerset. 6am Performance = Shambles. Made up for it by having an extraordinary experience.